Emerson College, Forest Row, East Sussex, UK. America Square Conference Centre, City of London - Weds. 10th and Thurs. 11th April 2019. • the manner in which e-Assessment as a process is changing and growing and advancing. • Martin Ripley, Director, World Class Arena Ltd.
Now in its 18th year, LJMU's annual Teaching and Learning Conference is a forum to share and discuss innovative and effective teaching, learning and assessment practices, as well as explore findings from teaching-related research and evaluation. On the theme of 'Developing Inclusive Learning Cultures', this year's two-day event will showcase the work of academic and professional service staff, and students, across a range of higher education teaching and learning topics related to the theme. The conference's broad theme can be interpreted in many ways but could include – how staff engage in conversations about practice; how we work in partnership with students to seek their feedback, and enhance curriculum; or how we develop our provision to ensure all students can progress and achieve. We are interested in sessions that include the use of interactive teaching methods, learning technologies and creative approaches to curriculum, inclusive teaching and assessment design. Organised by the Pro Vice-Chancellor (Education), Professor Peter Byers, with LJMU's Teaching and Learning Academy, the Conference will be hosted by the Faculty of Arts, Professional and Social Studies at the Mount Pleasant Campus (Redmonds Building). Interim Vice-Chancellor and Chief Executive, Mark Power will open the event. The Conference is open to all LJMU staff, students and LJMU's partner institutions. Additionally, we warmly invite all colleagues working in post-16 education to attend this event, for which there is no charge, although places for external visitors, excluding LJMU partner institutions, are limited. Submissions must be received by 10am on 4th February 2019. The submission form can be accessed here. 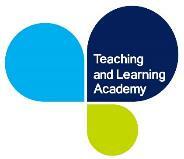 LJMU Teaching and Learning Conference website can be found here . We are delighted to announce our inaugural annual conference entitled 'Creative Approaches to Pedagogic Research'. This conference is an opportunity to share and learn about current innovative approaches to research-informed teaching and learning. Therefore, we invite contributions of 30 minutes focussing on any of the below three strands, which underpin CIHE's mission, or other creative approaches to pedagogic research. Please submit your proposal using this form by 18 April 2019. Please note it is our intention to publish contributions as chapters in an edited volume in 2019/20. The conference booking system will be open shortly. The conference webpage is now open and can be accessed here. UKAT are excited to announce the January to July 2019 schedule for our new FREE webinar series 'Tutoring Matters'. The monthly webinars are designed to support all those engaged with personal tutoring and advising, whether that be as a practitioner, leader or related support role. They will also act as key professional development for those undertaking tutoring and advising roles. Facilitated by various key professionals associated with UKAT and collaborative in nature, the webinars will cover important issues for academic advising. Further information and an overview of the programme can be found at https://www.ukat.uk/professional-development/webinars/current/ The links under the 'Details 'column will give you more information on individual sessions and enable you to book on via Eventbrite (for session 2 onwards, booking will go live approximately a month before the session is due to take place). We'll be announcing the rest of the year's programme at the UKAT conference which takes place on the 11th and 12th April 2018 at the University of Plymouth. The first UKAT Research Webinar will take place on Thursday 17th January 2019 from 2-3.30pm GMT. We would like as many UKAT members and their colleagues to join us as we discuss how to ensure that tutoring and advising practice is evidence-informed. Whether you have engaged in the scholarship of advising and tutoring before or are a complete newcomer and want to find out about what's been published in the tutoring space and the projects we are supporting, please do sign up. You will have the opportunity to hear from participants in the UKAT research mentoring programme, about the work NACADA (The Global Community for Academic Advising) and to discuss the "gaps" in the literature and what we can do to address them. To book a place on this webinar please use the following Eventbrite link. Lochtie, D., McIntosh, E., Stork, A. and Walker B.W. (2018) Effective Personal Tutoring in Higher Education. Foreword by Professor Liz Thomas. Northwich: Critical Publishing. Available here.